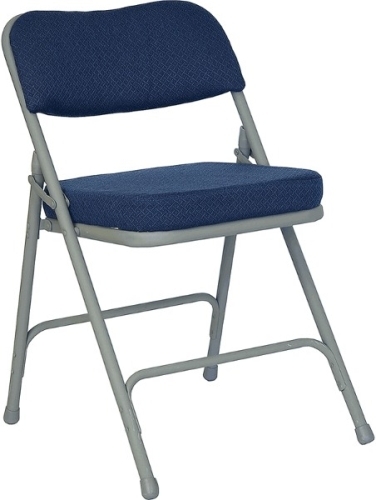 This folding chair offers unmatched comfort & unparalleled durability. Unlike the "thinner seat" chairs, this extra thick padded seat chair will insure your guests are comfortable for the whole event. It can be used both indoors & outdoors. Albeit, it cannot be left outdoors due to the fabric.